Standing at a towering 193cm and weighing 150kg, Fale is a beast in the ring. Despite his obvious size advantage, he has evolved his wrestling style over the years to stay one step ahead of his opponents. With a strong rugby background, Fale took to professional wrestling immediately. He debuted for New Japan Pro Wrestling in 2010 and spent time training in America to hone his craft. 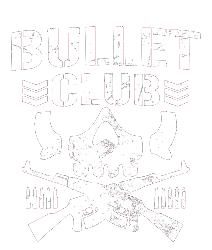 Upon returning in April 2013, he co-founded the BULLET CLUB and has been a force to be reckoned with ever since. His accomplishments include runner up at the 2014 New Japan Cup and winning the IWGP Intercontinental title in the same year. His calm exterior belies a beast with ferocious offence that can easily cause trouble to any competitor. This includes Hiroshi Tanahashi and Kazuchika Okada, two men who have fallen victim to Fale in the past, and although his Dontaku 2017 challenge for the IWGP Heavyweight Championship was unsuccessful, Fale could easily return to the title hunt at any given time. Fale has also been key in negotiating talent into the Cut Throat Era of the Bullet Club. The BC leader Jay White was initially introduced to Fale by Prince Devitt in 2013, and the groundwork was laid then for White’s eventual 2018 entry to the group. Fale’s presence in the wrestling scene in Australia and New Zealand also allowed Bullet Club to scout and sign Robbie Eagles; Fale had a sizable hand in training younger Tongan brother Hikuleo, and there are likely many more signings to come under Fale’s watch.